Miami-based Wade vs. Dirk poll that Twitter-#MFFLs have taken over. If you haven't voted already, please help us bring this home! The comments over there are infuriating. Vote is at 50/50 now. Just goes to show how uneducated some fans are. LOL, that poll was just Heat fans early on. When I voted on it yesterday it was an 80-20 split in favor of Wade, so it looks like people have come out of the woodwork to set the record straight. @cwmwrites: Cool thing post game: Larry Nance got Dirk’s jersey and got it signed. Says he’s framing it immediately. Nothing ground breaking, but an interview with Dirk post trade. It’s mostly an interview about his whole career, but he touches on the Porzingis trade. Was talking to a friend about this interview and we were talking about Dirk working with KP and maybe Luka next season, but Dirk says once he retires his plan is to travel. I’d love for Dirk to work with both of them on post moves and high elbow stuff. I just don't see him getting 100% away from it all, it's not in his DNA... Dirk could probably work in the same capacity as Holger; show up for a bit, drop some knowledge on the young guys, then spend most of his time doing whatever the hell he wants. No need for set hours, no need to travel with the team. I'm positive he'll still be active in the community after he retires, so I'm sure he'll make some time here & there for his Mavs. He allready said Dallas will be his home base because he has his network there. My guess is that he would pretty much disappear for a year, doing all the stuff he missed out (travel, kids) and then he is back and decides his role within the Mavs organization. Last edited by sefant77; 02-03-2019 at 03:44 PM. I have no doubt he will be working with the team in some sort of capacity, but doesn’t sound like it will be the year after he retires. Well, we pretty much knew, but still. Stop it. Noone wants to see a grown man cry at work. Not a new member, but unfortunately I can't access my old account. Anyways, not to raise any hopes, but what Cuban actually did was reply "It certainly feels that way" to the question whether this is Dirk's last season. At least, that's how he is quoted by the German Press Agency, I have yet to listen to the podcast. Last edited by creepingdeath; 02-05-2019 at 04:13 PM. Apparently today is the 20 year anniversary of Dirk’s debut in the NBA. Yeah, I had no idea he hadn't played the first half of his rookie season... Dirk's career kinda snuck up on us back in the days before social media. Last edited by Underdog; 02-05-2019 at 06:20 PM. It would be tough to see Dirk just sitting on the bench and not playing often, but I’m not ready to see him go. If he can go into the offseason not needing any sort of procedures and can spend the whole offseason getting himself ready that he could be back. With the all star nod and standing O at every away arena it seems a bit unlikely. Either way I want to see the big fella go out on his terms. I mean, obviously he'd be a super mentor to both Doncic and KP. 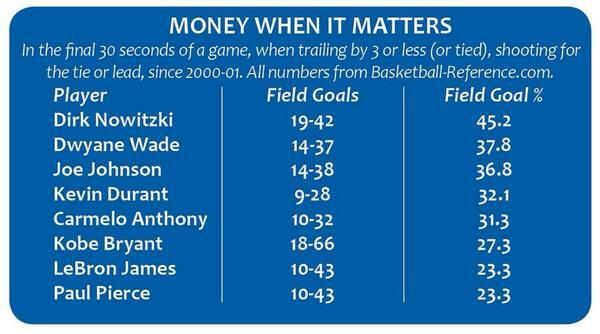 But I think Dirk can still be valuable off the bench as a shooter. I still hold belief that he doesn't have his legs 100% just yet and we have already seen what he can do in spurts. He's one of the best scorers of all time and possesses a few indefensible shots that don't necessarily require top notch athleticism. I'm all for Dirk the mascot! You're really surprised? It's not like it's 2011. I didn't even want him to play. I want Doncic to play. If Doncic was selected last that'd definitely piss me off though. At least Dirk doesn't have to play with that tool. You all think that LeBron would pick Dirk over his partner in crime, Wade? Do you think coach will play Dirk enough down the stretch to make it? Of course they will. I expect us to be out of the playoff race after the next tough 8 game stretch. I think then Dirk gets the green light and more shots. Last edited by sefant77; 02-08-2019 at 11:34 AM. I think (and hope) so. He will have games where he scores 8-10 points, and I agree that once we know we are out of the playoff race he will start firing a little bit more. Rick realizes his greatness and will do everything in his power to help Dirk add to his legendary story. Shout-out to all the people that used to confidently say that Dirk was a choker, soft and would never win a championship. I hope they all feel like morons at this point. 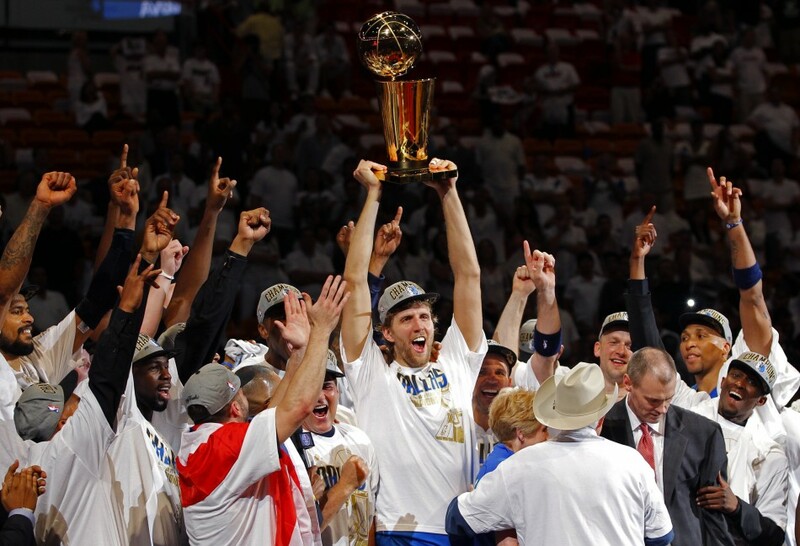 I've always taken the image of Dirk hoisting the Larry O'Brien trophy as a gigantic F U to all of his haters and critics. I am curious how this information can be found. I want to know what it'd be like for Doncic vs other players today. KP: "I would love to stay in New York my whole career and win a championship there". 12 points against the Heat brings the Tall Baller from the G within 109 points of Chamberlain's 31,419 on All Time Points List. Swish is at 31,310 with 25 games to play, needs to average 5 a game. Memo to Luka: Start feeding the old dog first. You're playing with history. Last edited by Jack.Kerr; 02-14-2019 at 09:21 AM. Dirk is gunning for it now. He’s taking more shots anyways. Oh he'll get there, barring injury. Oh Dirk, the best ever.